First created by students in 1953, the ISIC card is now issued to students in over 130 countries. The ISIC card is not exclusive. The mission of the ISIC Association is to provide all bona-fide students, regardless of their nationality, race, gender or religion, with the opportunity to prove their student status in every country worldwide, via an official and affordable identifier of student status. This unique identifier aims to allow students access to preferential travel opportunities, specially negotiated services, discounts and experiences in every area and stage of student life, consequently reducing the cost of being a student. The ISIC Association aims to play a supporting role in improving intercultural understanding, increasing educational opportunities and facilitating student life across the world. 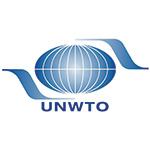 The ISIC card has been endorsed by the United Nations Educational, Scientific and Cultural Organization (UNESCO) since 1968. The ISIC card is endorsed by a wide range of national governments, ministries of education and tourism, student organisations and universities worldwide. 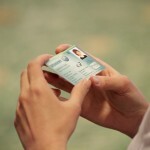 The ISIC card and ISIC Association is managed at a global level by the ISIC Global Office B.V.. The ISIC Global Office is based in Amsterdam, the Netherlands. For further information about ISIC and the ISIC Association, please download the 2017 ISIC Association Annual Report. A non-profit organisation, the ISIC Association consists of 54 member organisations from across the globe. Association members hold the exclusive license to distribute, promote and develop the ISIC card within their territory or country. The ISIC Association is governed by the ISIC Association Constitution and Convention and overseen by the 10 member ISIC Association Board. Board members are elected by their peers at the Annual General Meeting held in May as part of the ISIC Event. Day-to-day central administration and operations are undertaken by the ISIC Global Office B.V., located in Amsterdam, the Netherlands. The ISIC card is distributed in close to 130 countries through a network of ISIC Exclusive Representatives, Provisional Exclusive Representatives and Appointed Offices. Exclusive Representatives and Provisional Exclusive Representatives have the exclusive authority to distribute, promote and develop the ISIC card within their country. Usually ISIC Exclusive Representatives are organisations such as student travel organisations, national student unions, non-government organisations or companies solely dedicated to the ISIC card. Exclusive Representatives and Provisional Exclusive Representatives each issue the ISIC card to students through their own outlets, stores or online, and via wholesale distribution agreements with other organisations such as universities and financial institutions. The network of Exclusive Representatives makes up the 54 ISIC Association member organisations. An Appointed Office is an alternative outlet where a student can get their ISIC card. Appointed Offices are either selected by the Exclusive Representative or are appointed directly by the ISIC Global Office. Interested in becoming an Appointed Office or Provisional Exclusive Representative? Find out how. 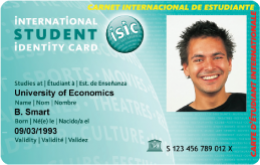 Present in close to 130 countries and territories worldwide, and over 100 million valid cardholders since its creation, ISIC is the only internationally recognised proof of student status. For further information, please read the 2017 ISIC Annual Report. The annual ISIC Event is a unique and dynamic annual event for key organisations engaged with the international student community and the ISIC card. The ISIC Event is the top event each year for ISIC card issuers and a valuable event for ISIC global partners, endorsement partners, student organisations and other associations looking to reach and support the international student community. The ISIC Event creates a platform for collaboration and inspiration, resulting in greater innovation, and improved benefits and engagement in the world of ISIC, where students are at the core. First introduced in 2011, each year the ISIC Event is held in a country that showcases an important aspect of the ISIC cards history or development. Thessaloniki has been selected as the host city for the 2019 ISIC Event. Thessaloniki is Greece’s second largest city and one of the biggest financial and educational centres of Southeastern Europe. Named the 2014 European Youth Capital, Thessaloniki has a large and active student population– making it a fitting location for the 2019 ISIC Event! The 2019 ISIC Event will tak e place from the 28 to 30 May at the Hyatt Regency, Thessaloniki. This year we will be welcoming 100 delegates, partners, guests and speakers from over 80 countries into Thessaloniki. The ISIC Award recognises and rewards organisations working on a global scale to reduce social, economic and cultural barriers and increase access to education. The ISIC Award is awarded annually as part of a special ceremony during the ISIC Event. The ISIC Award winner receives a 10,000 EUR (USD 13,500) financial contribution to support the continuation of their outstanding work. Becoming a student in many countries remains a luxury that not everyone can attain. The ISIC Association wants to ensure individuals who aspire to participate in higher education have the help and resources to enable them to do so. The intention of the ISIC Award is to support existing education accessibility initiatives. Each year the ISIC Award winner is nominated and selected by ISICs global partners, card issuers and students worldwide. Geographical scope of activities (multi-region or international reach favourable). The ISIC Association and MasterCard were pleased to announce that the International Student Exchange Programmes, ISEP was selected as the winner of the 2016 ISIC Award. The worthy winner was announced during a special ISIC Award Ceremony and Reception on 12 May during the final evening of the 2016 ISIC Event in Toronto, Canada. For more information on the 2016 ISIC Award winner, please read the press release. For more information about the ISIC Award and nomination procedure please contact us. 2015 ISIC Award: edX, an online learning destination and MOOC provider, offering high-quality courses from the world’s best universities and institutions to learners everywhere. 2014 ISIC Award: Institute of International Education (IIE), An independent not-for-profit founded in 1919, IIE is among the world’s largest and most experienced international education and training organizations. 2013 ISIC Award: University of the People (UoPeople), a global non-profit, degree-granting, tuition- free online university dedicated to opening the gates to higher education for all individuals otherwise constrained. 2012 ISIC Award: International Association of Universities (IAU), the worldwide association of higher education institutions. 2011 ISIC Award: AIESEC, the world’s largest youth-run organisation, providing students with leadership opportunities and internship and development programmes. The International Student Identity Card (ISIC) is the only internationally accepted, UNESCO endorsed proof of bona fide student status. An ISIC card offers students over the age of 12 access to fantastic benefits and services the world over. Visit www.isic.org for details.